Nearly 40 percent of Americans carry debt from month to month on their credit cards, reports a 2012 study conducted by the National Foundation for Credit Counseling. While many of these people are able to make the monthly payments on their credit card debt, when factors like the loss of a job, unexpected medical expenses or divorce arise, this debt can quickly snowball, leaving people struggling to reign it in while trying to cover their living expenses. 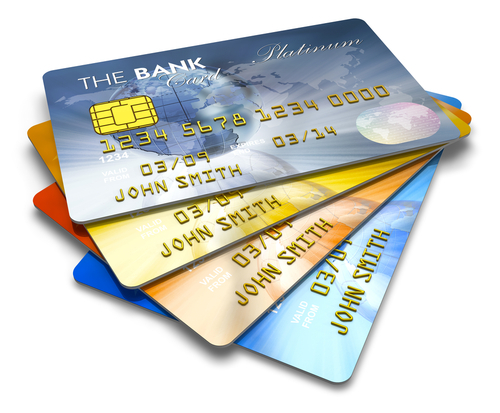 Credit card debt can be discharged with Chapter 7 bankruptcy. For specific info about your options, contact Denver Bankruptcy Lawyer Arthur Lindquist-Kleissler. Despite how financially and emotional stressful credit card debt can be, the good news is that people have options for resolving this debt and can achieve a financial fresh start through bankruptcy. Credit card debt is considered to be “unsecured debt.” This means that people do not have to put up any collateral in order to take out a credit card and that credit card companies don’t have collateral to cash in when people fail to pay on their credit debt. Instead, these companies can attempt to sue borrowers and get their wages garnished. Their outstanding credit card debt will be discharged. This effective means that the debt will be cancelled or forgiven. Credit card companies can no longer contact these borrowers for payment. Credit card companies cannot take additional measures, like filing lawsuits or attempting to garnish borrowers’ wages, in order to force borrowers to pay this debt. They cannot run up their credit card debt immediately prior to filing, as this is considered to be a form of bankruptcy fraud. They may have to liquidate some of their assets to attempt to pay back some of their discharged credit card debt. They will have to deal with some impacts to their credit score, and it could take them months (or potentially even years) to get their credit back on track, as they will essentially have to start all over. If you are buried in credit card debt and are ready to explore your options for resolving this debt, it’s time to contact Denver Bankruptcy Lawyer Arthur Lindquist-Kleissler. Since 1979, Mr. Lindquist-Kleissler and the other legal professionals at Lindquist-Kleissler & Company, LLC have been providing both individuals and businesses with the highest quality of legal services when it comes to debt relief and bankruptcy (including civil litigation matters associated with bankruptcy). Help each of his clients achieve the best possible outcomes to their cases in the most efficient manner possible.